The Roxy Theatre, in the northern New South Wales town of Bingara, wanted two sets of collapsible security doors as part of its Art Deco restoration program. Commercially available folding doors looked far too modern so DecoWorks Pty Ltd were approached to design and build two sets of security doors to suit the Art Deco style of the theatre. 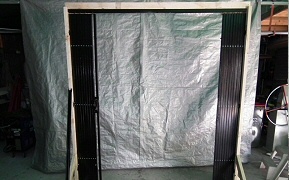 The photo on the left shows one of the completed doors closed in its test frame. 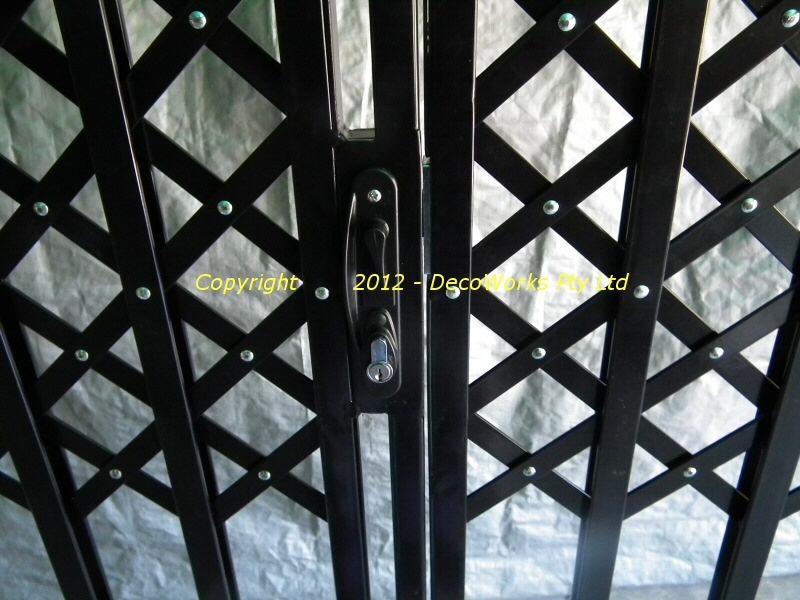 Collapsible security doors are relatively simple in their basic design. 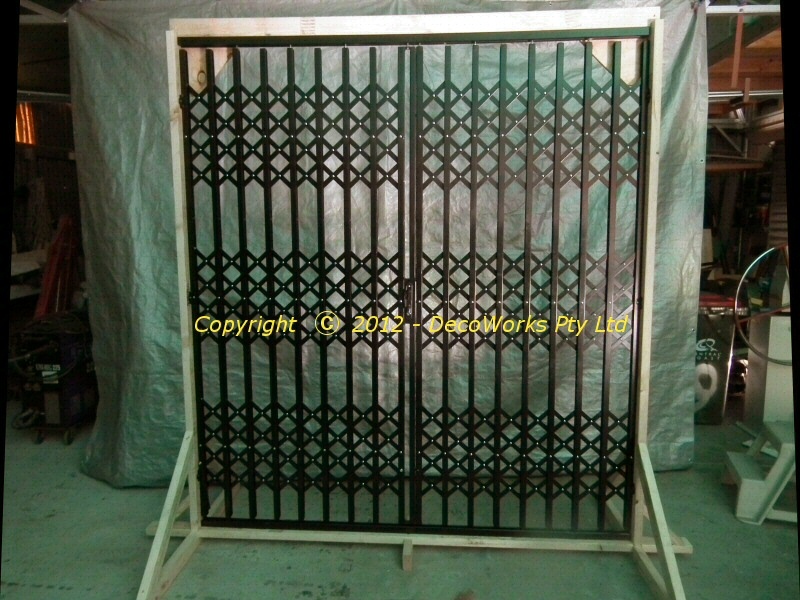 The vertical steel bars are made up of two flat bars with a space in the middle in which the folding trellis sections are housed. 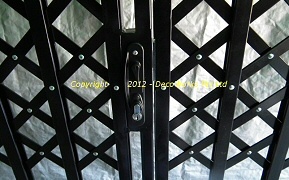 The bars are supported on carriers that travel inside tracking attached along the top of the door opening. The bottom of the bars fit inside a split steel channel that is attached to the floor. The centre section of this channel is removed after the doors are opened. 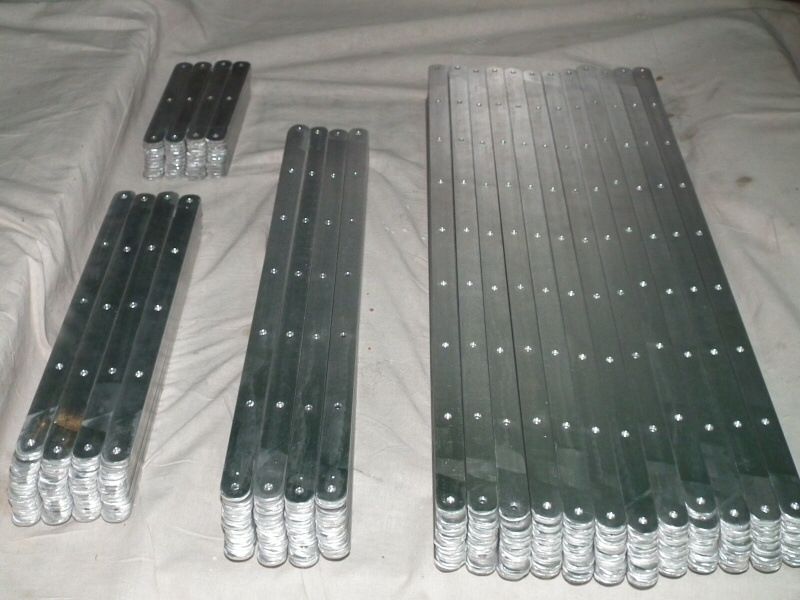 The left and right hand vertical bars are fixed to the side walls and the bars are kept in alignment as they slide along the track by the six folding trellis sections fitted inside the vertical bars. 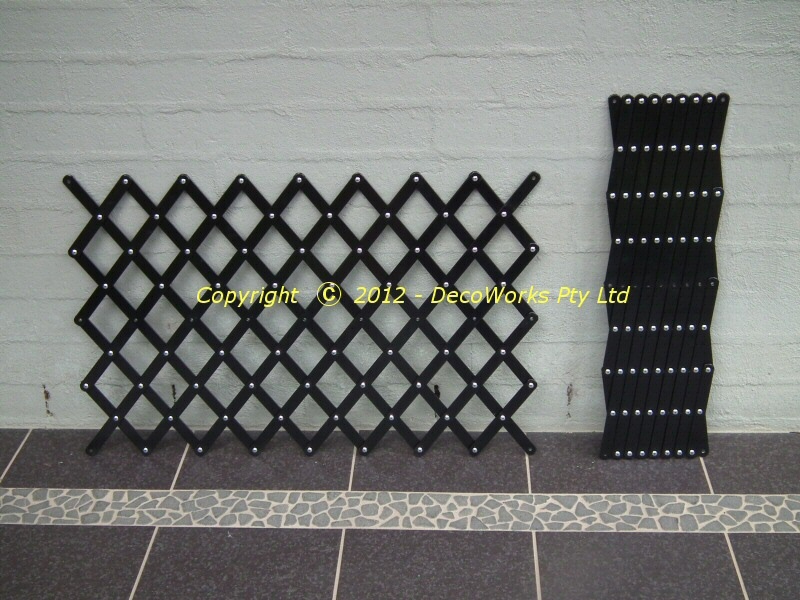 These sections pivot freely inside the double vertical bars on three steel rivets on each bar. When the two sides are drawn together they latch together and can be locked as shown below. When the doors are opened the middle section of the bottom guide channel is removed so people can walk through without a trip hazard. 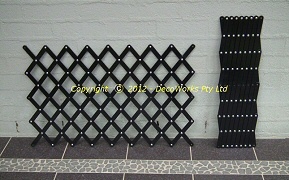 To keep weight to a minimum the folding trellis sections were made from aluminium which resulted in a 36% weight saving. 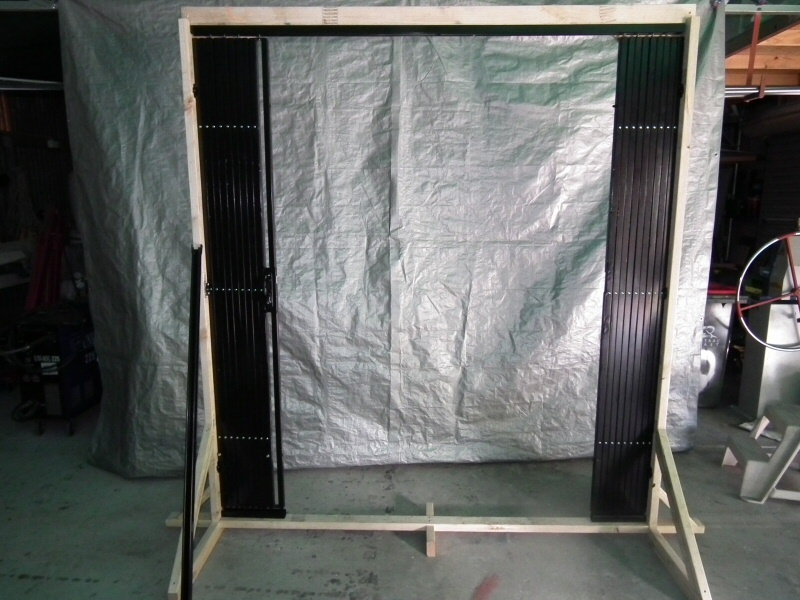 Prior to assembly all the parts were powder coated satin black. 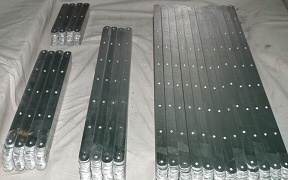 The drilled aluminium bars were powder coated and then riveted together to form the folding sections.